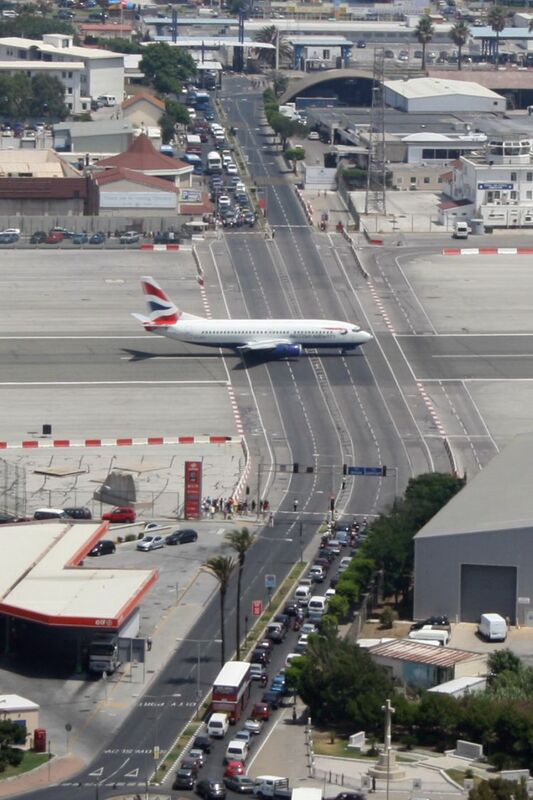 If You Think Railway Crossings Are Troublesome, How About an Airport Runway Crossing? For some light summer fun. 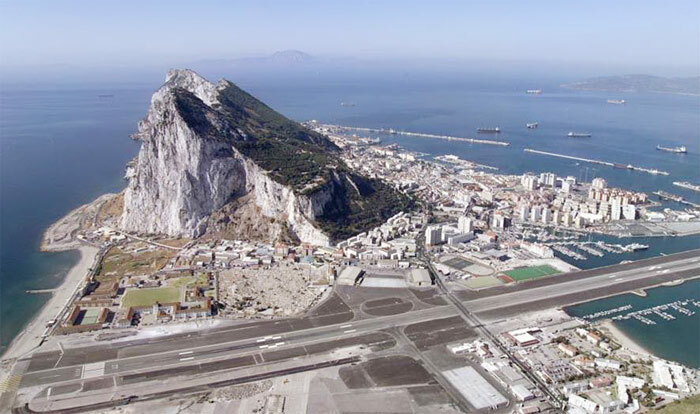 Gibraltar, as we all know is a very small colony on the bottom tip of Spain and land is at a premium. 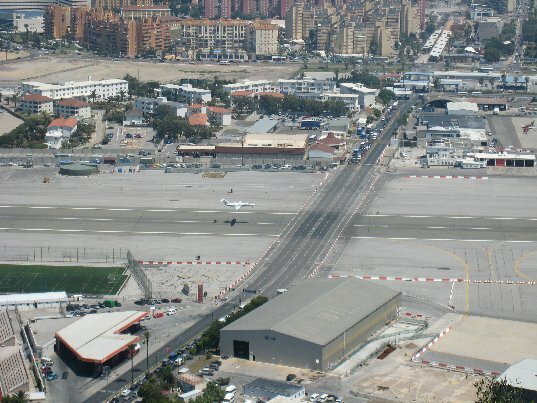 Instead of an expensive tunnel, the main road into Gibraltar crosses the main airport runway and is protected by railway style crossing gates! 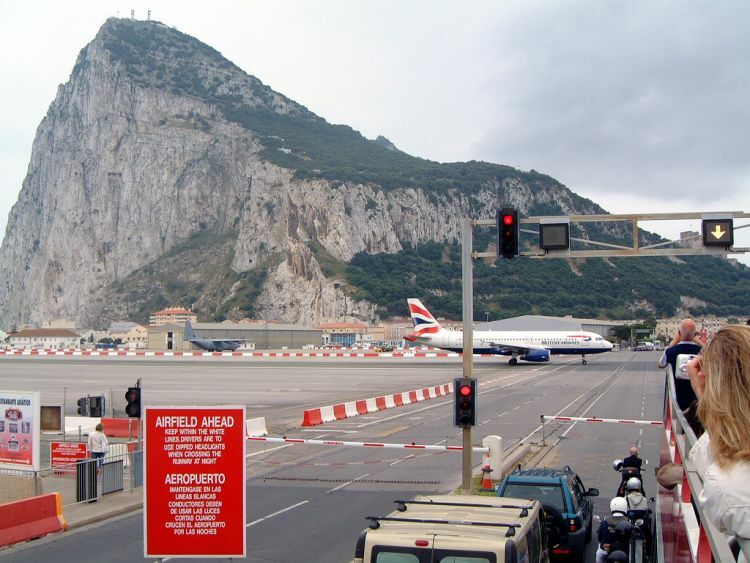 To enter Gibraltar, one must cross the main runway! 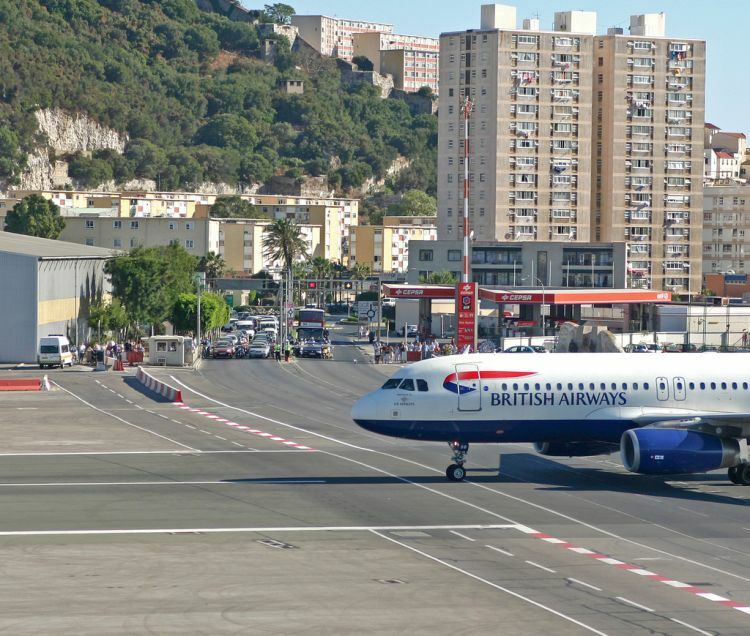 When the runway is in use, railway style barriers come down and stops traffic. 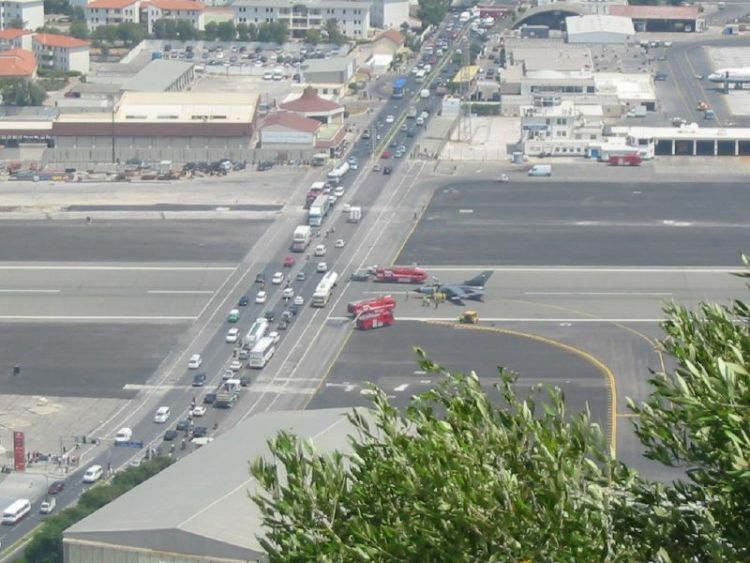 And when the runway is not in use, the barriers rise and the traffic proceeds normally!